The Waterfall at Columbia River Gorge. “The shafts of light in this canyon were one of the most amazing things I’ve ever seen,” says Peter Lik, who took this photo in the Columbia River Gorge in Oregon and submitted it to the National Geographic Traveler Photo Contest. “It was a surreal feeling being surrounded by the towering cliffs. The only way I could capture this special moment of weeping walls was after an incredibly torrential rain. I knew I had to get to a shallow portion of the river to unfold my tripod. I was drenched from head to toe by the falling water. Mist and rain covered the camera, but I fired a few shots. 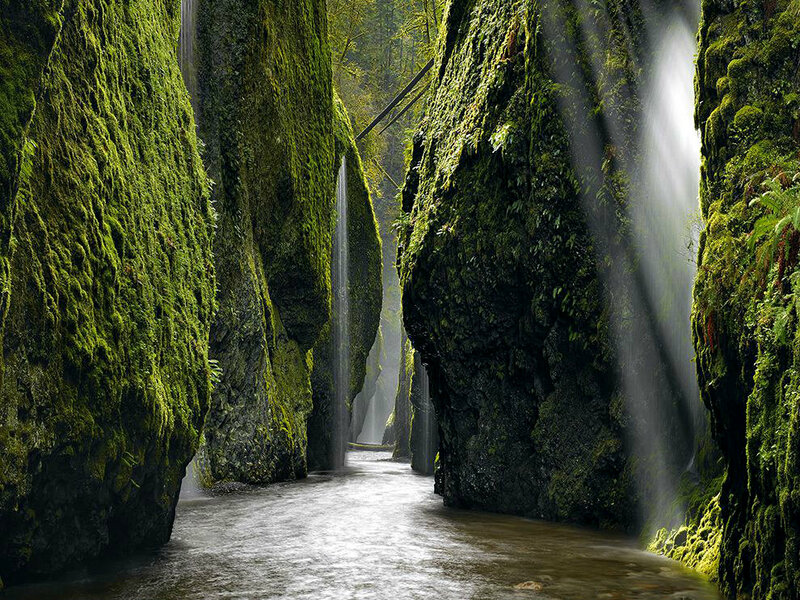 via Waterfall Picture — Oregon Photo — National Geographic Photo of the Day. ← Black & White Images by Courti.